South Claim the Cup: South Adelaide pose with City of Onkaparinga Mayor Lorraine Rosenberg (centre) after successfully claiming the Mayor's Cup in 2016. Image: Nick Hook Photography. 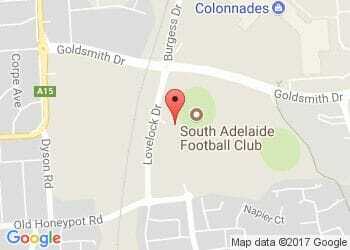 This Saturday afternoon South Adelaide and Central District will clash in their annual battle for the Mayor's Cup. The concept of the Mayor's Cup was introduced in 2004, with South Adelaide and Central District recognising their communities - the City of Onkaparinga and City of Playford - share similar geographics, demographics and challenges, both within the local community and football landscape of South Australia. The Cup also recognises the ongoing support provided by both the City of Onkaparinga and City of Playford for their respective SANFL Clubs. Since the Cups inception both clubs have alternated hosting the annual clash, with the Panthers set to host the 14th contest this weekend. In the 13 games played since 2004, Centrals hold a commanding 11-2 record, but South Adelaide are the reigning holders of the Cup after claiming a 31-point victory at the Ponderosa in 2016. Following the match City of Onkaparinga Mayor, Lorraine Rosenberg and South Adelaide captain Brad Crabb or City of Playford Mayor, Glenn Docherty and Central District captain Trent Goodrem will be presented with the Mayor's Cup. 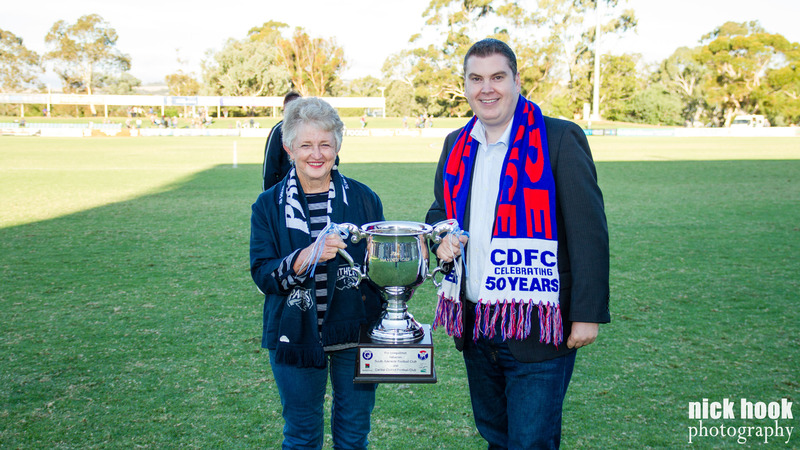 The Mayor's Cup: City of Onkaparinga Mayor, Lorraine Rosenberg and City of Playford Mayor, Glenn Docherty pose with the Mayor's Cup in 2016. Image: Nick Hook Photography.